MEMPHIS, TN (WMC) - Even with football season inching ever closer, you can't keep Penny Hardaway and Memphis Tigers basketball off the top of the charts. 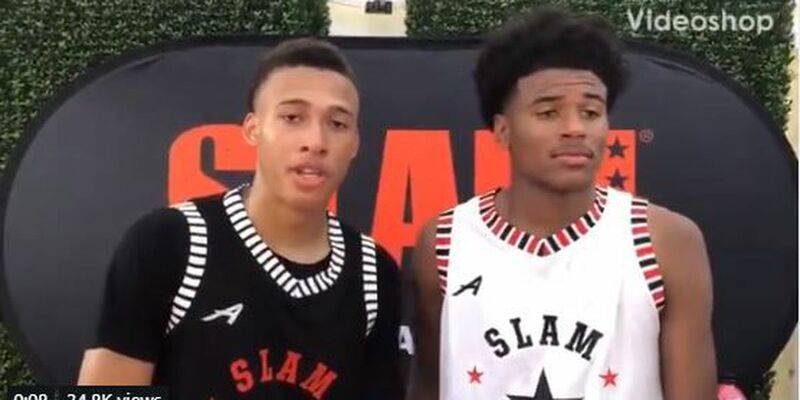 Penny and staff made national news on the recruiting trail for 2020 with a Twitter announcement coming from two of the top players in the country. R.J. Hampton of Little Elm, Texas, is rated the number two recruit in the nation according to 247Sports. His buddy, combo guard Jalen Green of Fresno, California, is rated the number one overall player. The High School Juniors says their first College Visit will be to the U of M September 13-15. While the pair say they are not a package deal, they do want to take their first official visit together. They became friends playing for USA Basketball over the last two summers, winning 2 gold medals. The 6'5" Hampton averaged 32 points, 6 rebounds and 8 assists.. The 6'6" Green averaged 28 points, 7.7 rebounds, and 2.8 assists per game. A new NCAA Rule allows high school juniors to take up to five official visits. While visits, like commitments, are non-binding, getting the first bite at the apple with top kids like this is a definite feather in Hardaway's Memphis recruiting cap.